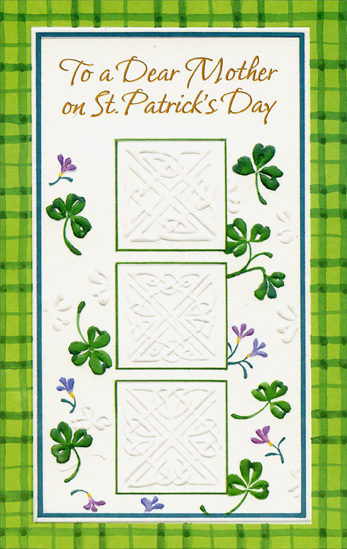 Embossing (raised up cardstock) creates a wonderful look and feel of depth as light and shadows highlight the embossed patterns and flowers on the front of this wonderful St Patricks Day card. 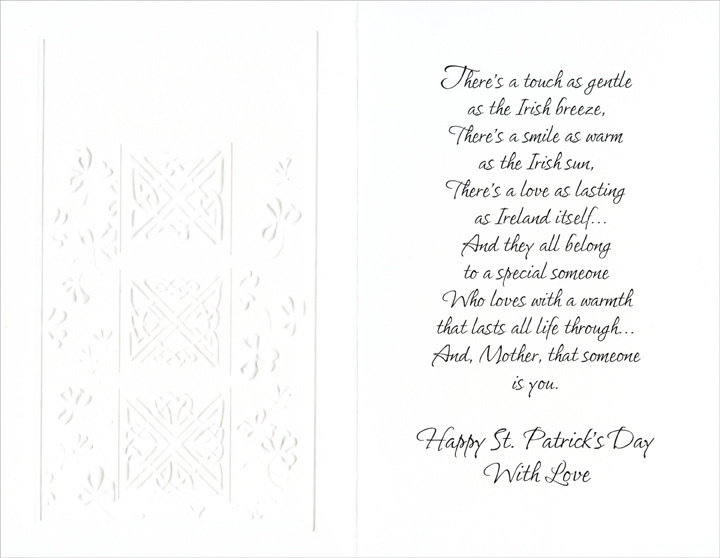 Also features gold foil lettering. Made in USA.